It’s June, and the off-season is upon us. Nonetheless, there’s been some interesting pairs news recently following the ISU Council meeting on June 12-13. I thought I’d do a round-up article to discuss the GP assignments, new pairs elements values, and program announcements. What effect will these point-value increases have on pairs skating next season? Well, first off, we should see pairs’ overall competition scores rise by 3-4 points. However, I’m not expecting major changes in strategy. The point values for lifts, double twists, and triple twists went up across the board, instead of changing relative to each other. So there doesn’t seem to be any advantage in switching out, for example, a Group 5 lasso lift for a Group 5 axel lift. And although the value of throw quad 4T/4S/4Lp increased by .2, this is quite a small change. The value of a few elements did change in relation to each other, but only slightly. With quad twists, there is now .6 differential between Levels 2/3, whereas before it was .5. In throws, the throw 4F/4Lz now has a little bit less added value relative to the other quad throws (.8 over throw 4S/.3 over throw 4Lp; it was1.0/.5 before). But again, these changes don’t seem significant enough to affect strategy much. The .2 value increase for solo (SBS) 3T/3S should help pairs who don’t have higher-level triples in the LP, particularly if they can manage a 3T/3T combo, thereby maximizing the value increase. However, in the SP, the value change in the 3T/3S seems unlikely to shift strategy or advantage. Although 3T/3S are now worth more, they are still worth 1.7/1.6 points less than 3Lz. Therefore, the strategic advantage that Duhamel/Radford (or other pairs with higher-level solo triples) have in the SP will remain. Perhaps what the ISU didn’t do with these value changes is more interesting that what they did. Last season, we of course saw a big trend toward adding quad twists and throws. This occurred despite the fact that quad elements in pairs skating are arguably, if anything, undervalued. For example, a solo quad Salchow in singles skating is worth 10.5 points, whereas a throw quad Salchow in pairs is worth only 8.2 points. I think many people were waiting to see if the ISU would encourage the quad trend by adding a lot more relative value to quad twists and throws. However, they did not do so. Nothing was done to significantly increase the advantage of trying quad elements. If anything, the ISU seemed to send the opposite message. By increasing the value of lifts and twists across the board, the ISU appears to be saying they want pairs skaters to remain well balanced in their skills and not become overly focused on jumping. That’s the conclusion I come away with, anyhow. I wish that the ISU would issue an explanatory document to accompany scale of values changes. Why not explain the intent behind value-change decisions? This would be a nice step toward greater transparency and communication. When businesses and governments make policy or operational changes, they typically provide at least some rationale for these changes to employees/citizens. Why can’t the ISU Technical Committee do the same? Moving on, let’s take a look at the Grand Prix assignments for pairs! Last week Gracie Gold tweeted: “It always feels like Christmas morning when Grand Prix assignments are announced.” I agree with her! It’s always exciting to see the Grand Prix lineups and who’s going to be skating where. It makes the new season feel closer, and you can start to imagine what the competitions will be like. Rather than review the lineups event by event, I thought I’d evaluate the difficulty level of each pair’s assignments. I think all the competitions will be tough. Nonetheless, some pairs did emerge with more favorable draws. Volosozhar/Trankov: TEB, NHK. V/T will start their season midway through the series at TEB. I think starting later is good; it gives V/T time to get back into competitive shape and catch up from their busy show schedule this spring/summer. V/T will start their comeback at Nebelhorn. Then it’s on to the GP. 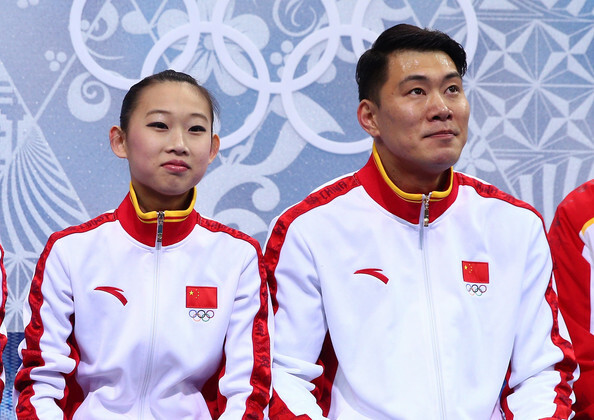 They will face legitimate but manageable competition at TEB (Peng/Zhang, Tarasova/Morozov) and should win gold there. They elected not to do Rostelecom, which I think is a wise decision, as they will avoid the pressure and publicity in Moscow. V/T next face Duhamel/Radford at NHK, which will be a major test. However, I think it’s probably good for them to meet D/R before the GP Final, so they can see where they stand versus each other and make tweaks. As Olympic champions, V/T will be favored over world champions D/R and should, in any case, do no worse than silver at NHK. V/T have new programs ready (Bollywood SP, Dracula/Van Helsing LP) and landed a gorgeous throw 3Lz at the Denis Ten show in Kazakhstan last week, indicating they are working on upgraded technical content. Sui/Han: SA, COC. I think Sui/Han drew well with their 2 assignments. They will face Stolbova/Klimov at SA, but do not have to face either D/R or V/T. And with their new status as Chinese #1, they will compete at their home GP for the first time since 2011, which should give them a nice boost. Making the GPF should be a foregone conclusion. Word is that Lori Nichol choreographed Sui/Han’s new programs for this season. It’s their first time working with Nichol. Stolbova/Klimov: Ready for a fresh start? Stolbova/Klimov: SA, RC. For a team that was not seeded, Stolbova/Klimov certainly lucked out with their assignments. Their matchup with Sui/Han at SA will be tough. And they must compete against Russian rivals Kavaguti/Smirnov at Rostelecom. However, they avoided having to meet either D/R or V/T. The upside: They should have a clear path to the GP Final, unless they’ve seriously fallen off form since last year. The downside: Not meeting their top rivals to see where they stand could make them vulnerable to another disappointing placement at the GPF. 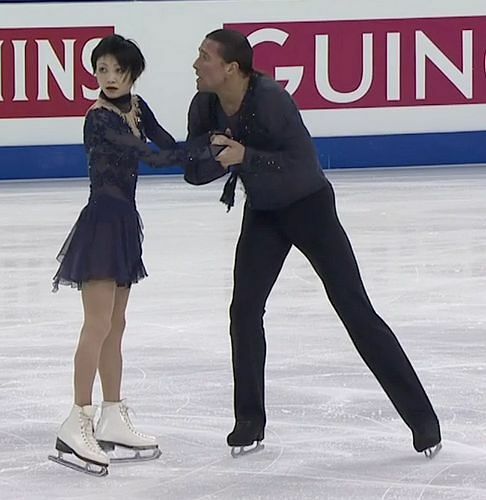 Tarasova/Morozov: SC, TEB. T/M will face Duhamel/Radford at Skate Canada—a big challenge. However, they should be able to beat the rest of the field fairly easily. In France, they will face Volosozhar/Trankov and Peng/Zhang. Since T/M train with V/T, I imagine they’ll be pretty comfortable competing against them and not too nervous. It will be interesting to see if T/M have made a leap forward in their training this summer and can pass P/Z in France. Whether they do so or not will likely determine if they make the GP Final. T/M’s new programs this season have been choreographed by Giuseppe Arena. Marchei/Hotarek: SC, RC. Valentina/Ondrej’s draw is favorable. They don’t have a home Grand Prix to help them, like many other pairs, and the field at Rostelecom is tough. However, they will be favored to win bronze at Skate Canada. Wang/Wang: SA, COC. Wang/Wang were largely forgotten after the Grand Prix last season because they didn’t make the Chinese team for 4CCs or Worlds. However, they won 2 GP medals last year. It will be harder this season, but there’s still quite a big potential for them to medal at one or both of their events. I wish Wang/Wang would do some senior B events this fall, just to kind of remind everyone that they still exist and are really good. The Chinese pairs teams typically don’t do senior Bs, so this probably won’t happen, but I think it would help them. Their programs this season are reportedly from David Wilson. Castelli/Tran: SC, TEB. I think Mervissa did well with this draw. 🙂 Skate Canada is a great place for them to start their season. Minimal travel and less pressure than Skate America, but they should still have audience support. Plus, it’s probably the weakest field in the series. Next, they compete in France against V/T, T/M, and P/Z, which will be daunting. But if everything comes together, I could see C/T possibly challenging for as high as fourth in one or both events. Of course with C/T being such a new pair, and this being their first full competitive season, there’s also the distinct possibility that they could suffer from nerves and place lower. But I’m going to think optimistically. 🙂 C/T are keeping their “Summertime” SP from last season and, as documented in IceNetwork’s series, have developed a new Journey LP with Julie Marcotte. Early practice clips look promising, and they will start competition early at Skate Detroit in late July. I hope that C/T will do at least one Senior B before the GP. Getting more competitive experience together is important. A number of seeded teams with high rankings nonetheless drew somewhat difficult or challenging events. Also, some lower-ranked teams in this group also face a tough draw. Duhamel/Radford: SC, NHK. You have to think Meagan/Eric are probably less than thrilled with their draw. As reigning World champions, they had every reason to expect 2 easily manageable GP fields and victories this fall. Instead, they find themselves facing Olympic champions Volosozhar/Trankov at NHK. Like it or not, they will be perceived as underdogs to V/T in Japan (unless V/T bomb in France), and that’s not going to feel good. Their new programs are again from Julie Marcotte. They may also unveil their new mystery element: Perhaps the throw 4Lz they landed on the SOI tour? Scimeca/Knierim: SA, NHK. Alexa/Chris got a draw that’s difficult but presents a great opportunity to prove they can compete with the best. At SA, they will face Sui/Han and Stolbova/Klimov. At NHK, it’s V/T and D/R, plus Y/J. The difficulty of their draw makes it somewhat unlikely they’ll qualify for the GP Final. However, Alexa & Chris can make a big statement if they lay down strong performances and win bronze at both GPs, and I’m sure that’s what they will aim for. Winning their first GP medal(s), and doing so against such tough competition, would be a big statement and position them well for 4CCs/Worlds, even if they don’t make the GPF. I do believe it’s possible for them to medal at both events, although it’s certainly not going to be easy. Their new programs—Metallica SP, Elizabeth: The Golden Age LP–were choreographed by Julie Marcotte. Yu/Jin: COC, NHK. Yu/Jin are doing the same GPs as last season. With both events in Asia, travel will be minimal. Competing in their home GP gives them a nice boost, and they will likely medal at COC. The NHK field is very tough, however. Yu/Jin may pull out a bronze at NHK and could be a dark horse to again make the GP Final. David Wilson, who choreographed their very successful programs last season, will again create this year’s programs. James/Cipres: TEB, NHK. Vanessa/Morgan will face Volosozhar/Trankov in both events, Duhamel/Radford in the second, and any number of other good pairs as well. This will not be helpful as they seek to rebound from a disappointing season last year. The chance of medaling in either event is slim. Iliushechkina/Moscovitch: COC, NHK. I’m thrilled that Luba/Dylan got 2 GPs (not a given, since they finished 13th at Worlds). However, the 2 events they drew are challenging. Both are in Asia and are 3 weeks apart. So they either face 2 long trips to/from the events or a 3-week stay in Asia. Not only that, the fields are very competitive, especially at NHK, and medaling is a long shot. Hopefully Luba/Dylan can just look at this as a valuable opportunity to get more competitive experience together. 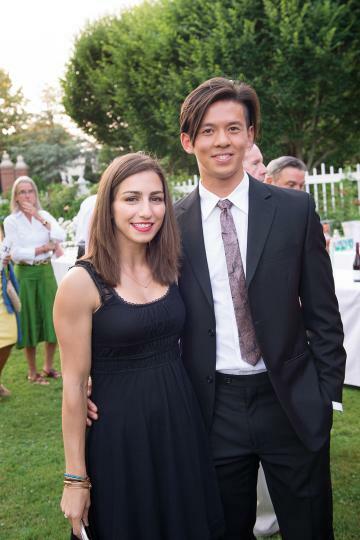 Like Castelli/Tran, Luba/Dylan will start their season early at Skate Detroit. Teams who didn’t make Worlds or were toward the lower half of the field at Worlds have to expect draws that are probably less than ideal, but hopefully not too bad. I’d say the following teams are in this category. Seguin/Bilodeau: SA, TEB. Julianne/Charlie’s draw really isn’t bad. Skate America is close to their training base in Quebec, and they’ll no doubt enjoy a trip to France! It will be good for them to get the experience of competing against Volosozhar/Trankov in France. Astakhova/Rogonov: SA, COC. Kristina/Alexei’s schedule will be challenging, with a lot of travel. They are facing quite a tough field at COC, especially. They debuted their new The Artist SP recently at a competition in Russia; their LP will be portray a puppet master bringing his puppet to life. Sergei Komolov, who did their programs last year, also choreographed this year’s programs. Bazarova/Deputat: SC, NHK. Vera/Andrei will be dealing with quite a bit of travel as well, although at least their events are 4 weeks apart. They should be right in the mix at SC, but face extremely tough competition at NHK. Their new programs were choreographed by Elena Maslennikova. Moore-Towers/Moscovitch: SC, RC. Starting at their home GP, Skate Canada, should give them a boost. Kayne/O’Shea: SA, RC. As with MT/M, it’s nice for Kayne/O’Shea to start at their home GP. K/O are fan favorites and will get a warm reception at Skate America. Six pairs on the GP have only 1 assignment: Ziegler/Kiefer, Fedorova/Miroshkin, Aaron/Settlage, Della Monica/Guarise, Bell/Swiegers, Calalang/Sidhu. These teams will be looking to make a strong impression and hopefully pick up another event. There are also 4 open TBD host spots: America, Canada, France, Russia. In America, the contenders are likely Aaron/Settlage, Donlan/Bartholomay, and Fields/Stevens. In Canada, Grenier/Deschamps and Purich/Wolfe (both of whom had GP slots last season) are probably the leading contenders. In Russia, Fedorova/Miroshkin may get the final slot if they perform well at COC. The competition for the Grand Prix Final will be intense. If I had to make my picks now, I’d go with the following 6 teams: Volosozhar/Trankov, Duhamel/Radford, Sui/Han, Stolbova/Klimov, Peng/Zhang, and Tarasova/Morozov. But I think there’s any number of other teams who could also make the Final, depending on how the cards play out. And one thing I’m certain of is that we’ll see some surprises and unexpected twists. And, of course, hopefully some great skating! Here is the final section of Max’s translated commentary from Worlds 2015. The sound on this Youtube video disappears for some reason throughout Denney/Frazier’s program and only reappears after they finish. Trankov then gives a very long speech about how Haven’s sister Caydee used to compete with John Coughlin and what a great pairs skater John was. Trankov says that Coughlin paid attention to the same things that Trankov himself finds so important in pairs skating–the quality of the pairs elements, interesting lifts, the height of the twist, the height and distance of the throw jumps that wow the audience, the step sequences. He says John Coughlin even spoke at a conference about how those elements should be rewarded. Trankov then speaks very passionately about how important the quality of pairs elements and the quality of overall skating is to him personally and also to other pairs skaters of his generation. Trankov says that if viewers want to see “real” pairs skating, they should watch Pang/Tong skate in the competition. He says that, with Pang/Tong’s retirement after Worlds, pairs skating will lose the last team from the era of great pairs skaters. And that viewers will never again see anything like the quality of the elements Pang/Tong did. Trankov says he competed against Pang/Tong for many years and learned a lot from them. In the meantime, he compliments the lifts and throws that Denney/Frazier performed in their SP. Trankov said there were lots of soundtracks used this season, and that this was the soundtrack to The Lion King. The other commentator then criticizes the music choice and the costumes. Trankov says you can make a masterpiece out of any music if you try. He adds that Ingo Steuer never tried to “tell a story” in his programs. Trankov then continues to praise I/M and says they demonstrated “very serious skating” at Worlds. The other commentator then blames the time difference and jet lag for there being few clean skates in the short program to that point. But Trankov disagrees. He says the time difference is not so bad, that there are many GP events and the World Team Trophy held in Asia, and DM/G should be used to adjusting to the time difference. Plus, Trankov says the schedule for pairs at this event was very good, because China is a “country of pairs skating,” and everything was done to accommodate pairs skating first and foremost. He says that in the past, pairs skating always had a good schedule because it’s a very dangerous discipline, especially for the girl, but that this has now changed and pairs now have to perform in very poor conditions, schedulewise. He laughs that Elena Ilinykh gave an interview to say that they had a poor competition schedule because training was set for 6:30 a.m. Trankov said ice dancers always used to train at 6:30 a.m., but that things have now changed. Then they speak about how awful the schedule was at Europeans. We continue with the second part of Max’s translated commentary from Worlds 2015. Trankov starts off talking about how this World Championship is going to be just a learning experience for the Russian skaters, and that the Russian team should not expect anything. After the “triumph of Sochi,” Trankov says the Russian team should just get experience and gather strength, and allow others to win competitions, because everyone is tired of seeing Russians win. Then Trankov talks about how happy he is that both the young and older Russian pairs got similar technical marks. He says the younger generation is pushing the older generation. Trankov was so nervous for, and didn’t want to jinx, Tarasova/Morozov, his training mates, that he turned away and didn’t watch them skate. He could only comment once they had finished skating and he watched the slow-motion repeats. Trankov explains where the other U.S. pairs currently train and used to train. He laughs at the reaction of their coach, Dalilah Sappenfield, when they complete “the most important jump element” –the throw. Trankov says that in America, all coach-skater relationships are contractual, and it is common to switch coaches and even switch back by mutual agreement. Trankov gushed over their incredible quad twist and complimented their interesting lifts, but criticized their jumps and many minor mistakes throughout the program. 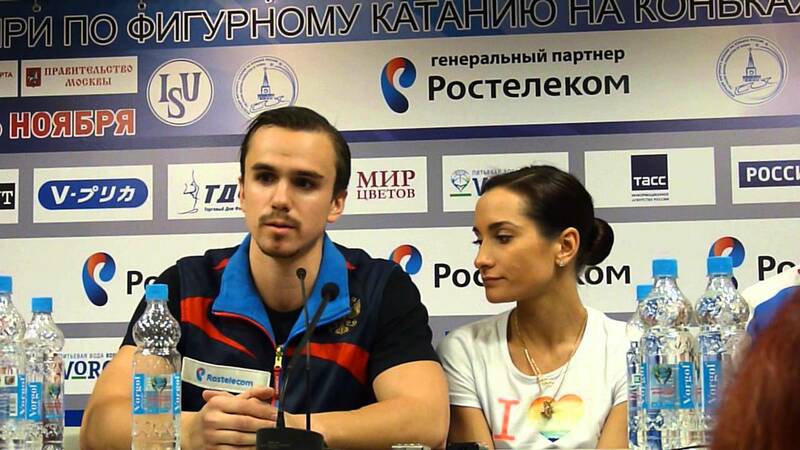 Trankov talks about the GP selection process for a country’s third-ranked pair team. He then repeats that in order to be considered a top team (not part of the elite, but still one of the top teams), you should make the top 12 at Worlds. Then you can fight for a top 10 place at Worlds, which is “very good by any athlete’s standard”. He repeats that he came in 12th at his first World Championships and says that it wasn’t so bad. 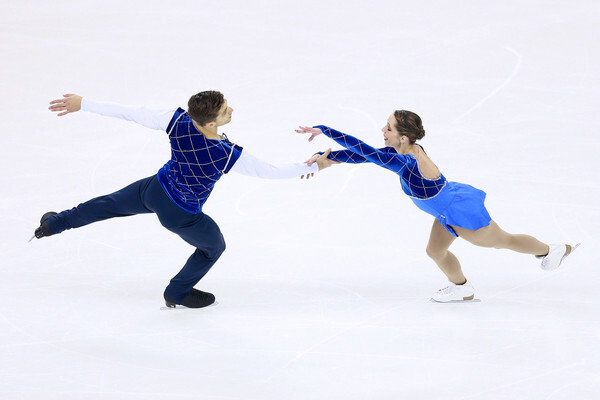 Last year in Sochi, Maxim Trankov and his partner Tatiana Volosozhar reached the pinnacle of pairs skating, winning two gold medals at the 2014 Winter Olympics. Volosozhar/Trankov took this season off to rehabilitate Max’s shoulder injury. However, Max stayed involved in pairs by choreographing Evgenia Tarasova/Vladimir Morozov’s competitive programs and commentating on pairs skating for Russian TV. Recently, he offered commentary on the pairs event at the 2015 World Championships. Max’s Worlds commentary was translated by Xela M and published on the FSU forum. We wanted to re-post Max’s commentary here as well, so it would be accessible to more readers. We think you’ll find the Olympic champion’s thoughts on the pairs event at Worlds quite interesting and informative, to say the least! Xela M was born in Moscow, Russia, and now resides in London, England. She is a solicitor and a huge figure skating fan! 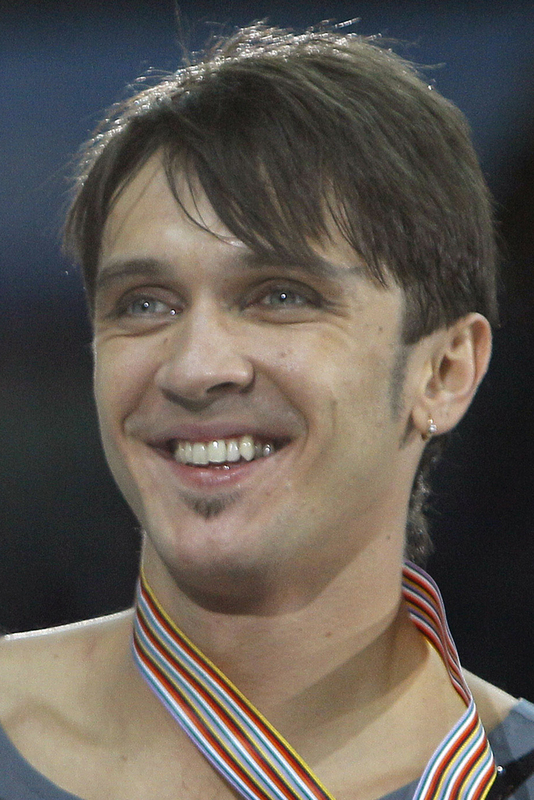 Trankov and the other commentator then go on to discuss D/R’s off-ice personalities. They say that Meagan is very energetic and chatty and that she is a vegan; that Eric is a composer and that they even skated to his music in the Olympic season. The other commentator mentions that Eric came out as gay in the middle of the season, to which Trankov replies: “And Meagan is the fiancée of one of their coaches–Bruno Marcotte.” The other commentator then asks who Julie Marcotte [D/R’s choreographer] is, and Trankov says she is Bruno’s sister. And they also explain who their main coach is—Richard Gauthier. To avoid confusion, this is the video to this translation… https://m.youtube.com/watch?v=OMJFtu8YI_M. During a repeat of this program on Russian TV, Trankov apparently did new, additional commentary.